Network engineers are responsible for maintaining, installing, and designing computer communications systems. Responsible for providing client's with secure networking solutions. Network engineers work with four main network systems. LAN-Local area network. Connect computer within a limited area. MAN-Metropolitan Area Network. Joins LAN's together across a city. WAN-Wide area network. Link systems across national boundaries. GAN-Global area network. Uses satellite and wireless technology to combine networks over unlimited geographical areas. Relevant IT courses through a local college. Qualifications or experience in other IT areas, such as installation. 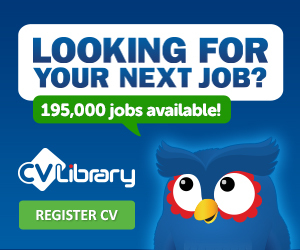 See job profiles for Computer Service and Repair Tech and IT Support Tech for more information. Apprenticeships may be available through an IT company or IT department of an organisation. Visit www.apprenticeships.org.uk. for more info. Microsoft Certified Systems Engineer (MCSE) and Microsoft Certified Systems Administrator (MCSA). Continue studies for higher level computing qualifications, such as a BTEC HNC/HND, foundation degree or degree. See the Universities and Colleges Admissions Service (UCAS) for more information. Award which you could take as part of an undergraduate, postgraduate or work-based training programme. Covers key skills required by the industry. See e-skills UK for details. BCS professional awards will enhance your career prospects. Includes a Certificate, Diploma and Professional Graduate Diploma, equivalent to the first, second and third year of a university honours degree. Options include computer networks and network information systems. Contact BCS for details and entry requirements. Why not read about whats required to be a network manager? We aim to bring you a wide selection of UK Jobs and career guides with ideas of what you can be. In case you need Located on UK Jobs Guide is your local job centre and its contact information, including a number to call for jobs. Bookmark us and Come Back.